The web application firewall market is projected to grow to over $650M in 2019, according to NSS Labs. This resource offers an overview of protecting networks and web applications by utilizing web applications firewalls. 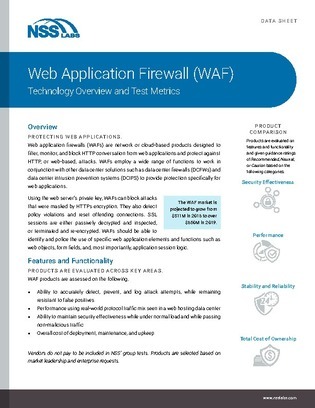 Uncover features and functionality of web application firewall products.